Different publishers have different visions for their cover artwork and different markets have different demands. I am perfectly aware that marketing analyses and the business side of publishing have something important to say in the construction of a book cover, but strictly from a reader point of view and even that from a very personal perspective I must say that I like the book covers to be striking. Minimalist or flamboyant, colorful or basic, I love when a book cover speaks to me and triggers immediately the thought: “look at this beautiful artwork, I wonder what the book is about”. I also love when after finishing a book I discover new dimensions for its cover artwork based on the reading experience. 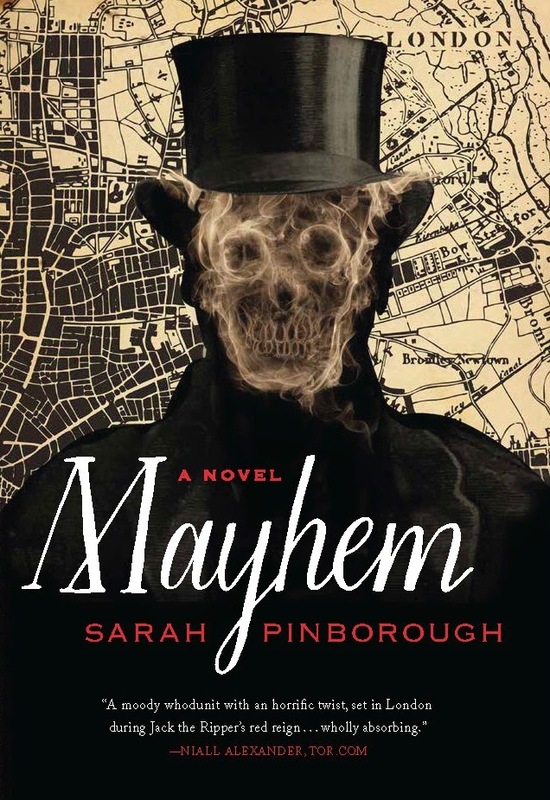 Covering all these sides of my predilection for cover artwork is Sarah Pinborough’s “Mayhem”. 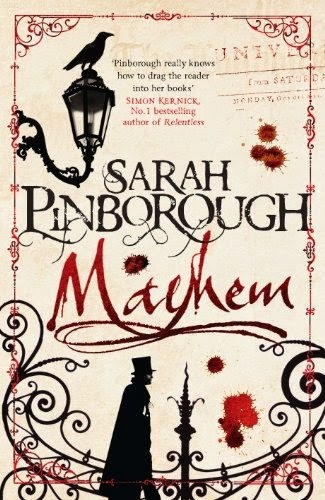 Not only that, but as often it happens for a book to have a beautiful cover on a certain edition and rather dull ones on others Sarah Pinborough is very lucky in this sense, I discovered no less than four striking artworks for the cover of “Mayhem”. The UK edition released by Jo Fletcher Books, the first to be published, has a simple and yet very effective concept, the US edition, released by the same publisher, has a more in the face cover, but full of significance nonetheless. And with the addition of the map in the background things are getting even more interesting. 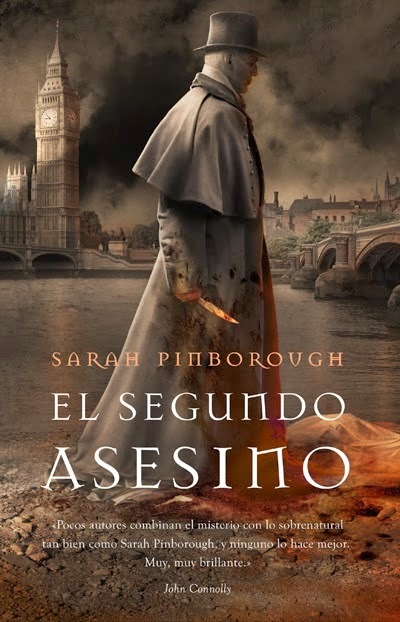 The Spanish edition, published by Colmena Ediciones under the title “El Segundo Asesino” in December last year and with a cover by Alejandro Colucci, highlights the same elements in a different manner, without losing power or appeal in the process. 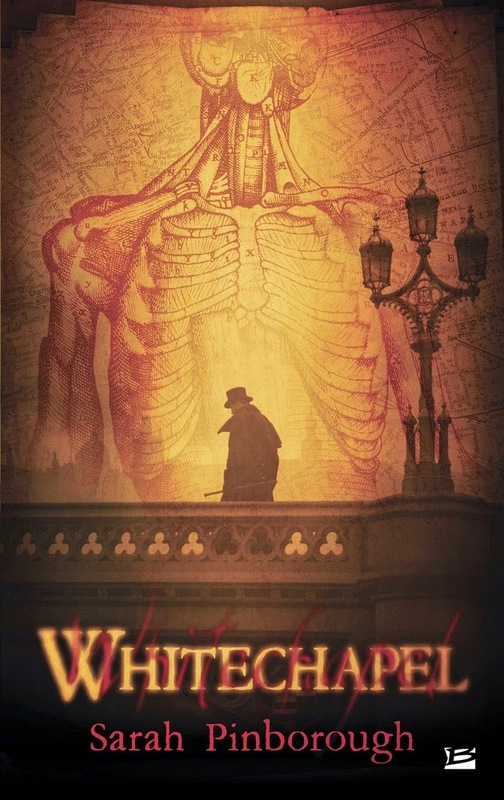 The fourth is the French edition, due to be released by Bragelonne next week under the title “Whitechapel”, with a cover by Fabrice Borio. And I must admit, if you ask me which one I like more, I’d push the French cover on the first place at photo finish. The anatomical drawing together with the map, the man on the bridge together with the silhouette of London in the background, the colors and the title lettering (that reflects magnificently on a certain duality within the story) are as many elements that resonate with me and put together create an admirable final result. If only all the books are treated with four excellent cover artworks as Sarah Pinborough’s “Mayhem” is. Or at least with one.